David joined Don’s team in 1997 as an administrative assistant under the supervision of his late father, Walter Speakman. At present he is the office manager and enjoys the variety of learning opportunities this position offers. David graduated from California University of Pennsylvania in 1972 with a Bachelor's degree in Education. 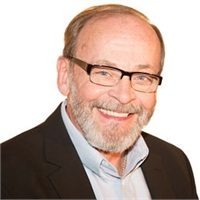 For the following 25 years he worked in the food service industry in several management positions including Nationwide and Xerox in Columbus, Ohio, Encyclopedia Britannica and Bodine Electric in Chicago, Illinois. One of his most challenging yet rewarding positions was Food Service Director at the Kellogg Company in Battle Creek Michigan. David has two adult sons and three grandchildren. The recreational activities David enjoys most include motor cycle riding, pool, outdoor activities and spectator sports. His favorite sports teams are the Penguins and the Steelers!